I remember reading a story about someone who bought an inexpensive painting (perhaps at a garage sale) and hung it on a wall in his home. Some time later he discovered to his surprise that there was another painting underneath the canvas – a painting that turned out to be an original of a very famous painter and worth, perhaps, millions! We are like that inexpensive painting: – beneath the canvas of our life is a hidden, infinitely superior life living in the very depths of our soul! 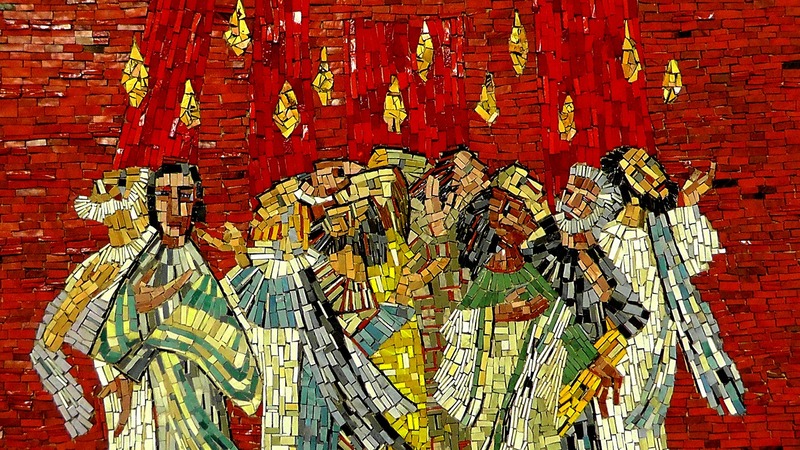 It is a particularly important moment in our lives when we come to discover and comprehend that the Holy Spirit truly lives within our baptized souls (“closer to us than we are to ourselves”). When we become aware of our “interior guest,” and our duties toward Him, we are certain to make advances in the spiritual life. “And I will ask the Father, and he will give you another Helper [the Holy Spirit], to be with you forever, even the Spirit of truth, whom the world cannot receive, because it neither sees him nor knows him. You know him, for he dwells with you and will be in you” (John 14: 16-17). “I only beg you to test it [by interior recollection], even at the cost of a little trouble. I assure you…you will find Him within you” (see The Way of Perfection, Chapters 28-29). “The discovery of God present in the soul is one of the most momentous in the soul’s spiritual career…Once the soul has grasped the significance of this doctrine, the whole horizon changes; the implications are limitless…More and more, the soul of prayer should come to realize that it is the Holy Spirit who is acting….” (edited from pages 119-121).